Considered a ‘national treasure’ in her adopted country of Mexico, Leonora, whose background was strongly Irish, was originally from Clayton Le Woods, Chorley, Lancashire. Symposium speakers, artists, film makers, writers, curators and academics at the symposium will celebrate her in her home setting. Guest Speaker, Joanna Moorhead, cousin of Leonora, will discuss her new book, ‘The Surreal Life of Leonora Carrington’ (Little, Brown, 2017). The Symposium Programme is available to download. (Schedule is subject to change). 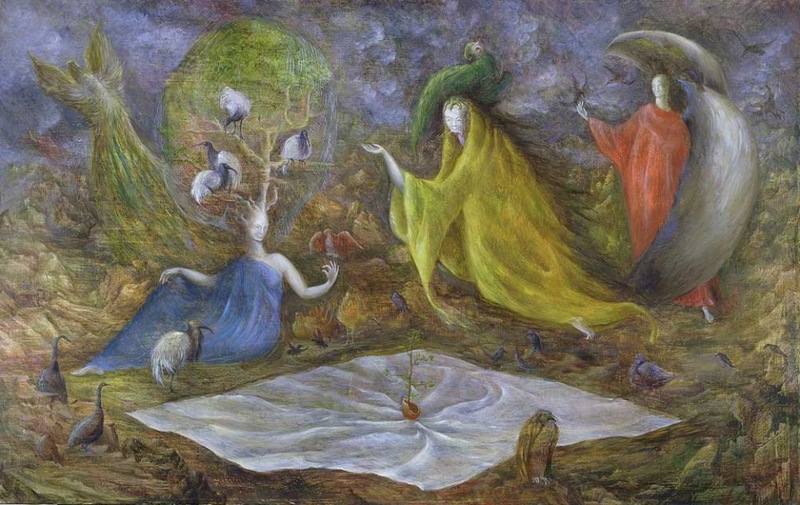 This entry was posted in 2017, Latin America, Symposium and tagged 2017, Latin America, Leonora Carrington, Mexico, Surrealism, Symposium, Women artists on June 21, 2017 by Clare Hills-Nova. Leonora Carrington, Tate Liverpool, 6 March – 31 May 2015. Exhibition put on as part of the 2015 Year of Mexico in Britain celebrations. Tate Liverpool has organised the first monographic exhibition in the UK devoted solely to the Lancashire-born but Mexican-based surrealist Leonora Carrington (1917-2011). A selection of key paintings made throughout her career explore how she devised her own distinctive take on surrealism whilst working alongside other artists such as Salvador Dalí. Also displayed alongside her paintings are examples of her poetry, sculpture, textiles and tapestries as well as designs for film and theatrical performances that she created after she had settled in Mexico in 1941. The exhibition is not, however, accompanied by a catalogue though there is a planned Study Day scheduled for Saturday 23 May, 10.30-16.30. This entry was posted in Liverpool and tagged Exhibitions, Leonora Carrington, Liverpool, Mexico, Tate Liverpool on March 14, 2015 by Clare Hills-Nova.